Torqeedo’s high-tech outboard motors sustainably convert battery energy into clean, powerful performance. All motors are equipped with integrated onboard computers. From 1 to 80hp, Torqeedo motors achieve best overall efficiency in their class. Batteries and motors are waterproofed to IP67. Dramatically reduce air and water pollution with advanced Torqeedo technology. Sustainable charging options include a solar charging device and a solar charging controller. 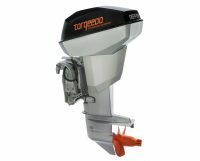 Torqeedo’s superior drive technology means more options, greater range, lower carbon footprint for electric boats. Plus: lower engine weight means lower operational power requirement! Torqeedo’s six-tier safety system is the most comprehensive safety regime in the marine industry.